​​Banking on the skills of our qualified team of professionals, we are involved in providing a high-quality range of Agate Electronic Safe. Being the foremost names of the industry, we are involved in providing an extensive range of Safe Locker. 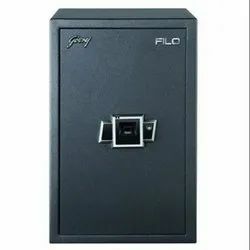 Supplier of safe and Locker. We are an unparalleled name, engaged in giving a premium quality range of Electronic Locker that is tough in construction. These lockers are used for giving high security and safety from unwanted risks and find applications at banks, leasing companies, offices and many more. There are 3 saes: 500mm, 700mm and 900mm whxh provide large volume for storage. The Elite HO Safe has extra thick steel door (10mm) and wall (11mm), which is the heaviest among current Vale Safe line up. It also comes wfth luxuriaus interior for high end users. The panel, same as Elite Series, is an exclusive Vale design.